This Presentation date is March 31, 2016 at 14:45-17:15 local time. Join the Tech Field Day delegates as they discuss the latest advancements from Intel at Intel Cloud Day. Topics include the rise of public cloud computing, how IT departments are struggling to adopt cloud, and even what the term cloud really means. 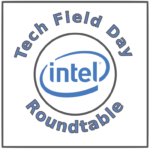 In this roundtable discussion, the Tech Field Day delegates debate the new advances from Intel around network telemetry and the new SNAP framework that was recently announced. The Tech Field Day delegates discuss announcements at Intel Cloud Day that deal with non-volatile storage technologies, including NV-DIMMs and Intel’s forthcoming 3D X-Point.